Sophie Beyer asks when will education adopt headsets and which will be their preferred reality; VR, AR or mixed? Wearable devices have had a chequered history over the past few years, but the rise of Google Cardboard demonstrates education can see the benefits of headsets and virtual reality if the tech companies get the offer right. 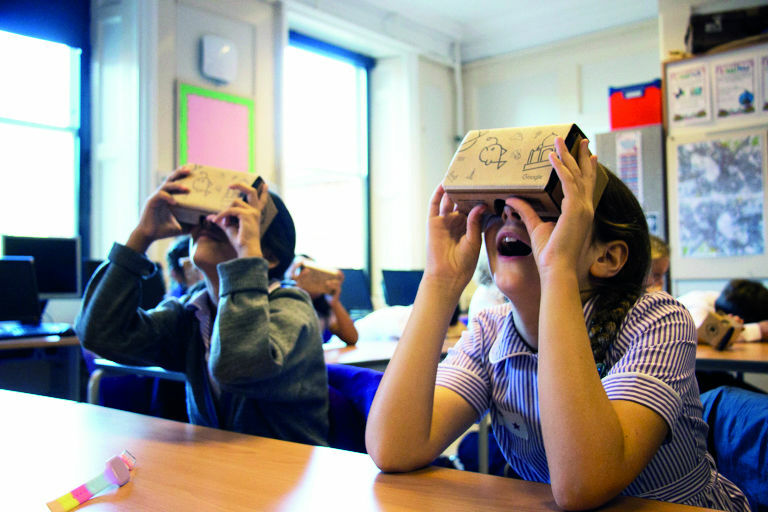 One million schoolchildren will have a VR experience on a Google Cardboard headset this academic year. The Expeditions programme has been a success so far: they hit their halfway mark in January and are well on their way to reaching their target. 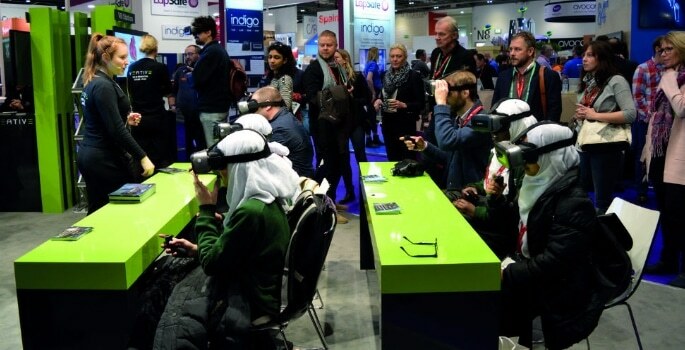 VR is now offering education a range of exciting possibilities. However, for those who are sceptical about the benefits of VR the educational benefits are still unclear. Different headsets offer a different experience. VR usually offers full immersion, great for engagement, but teachers could prefer a shared experience with ‘augmented’ or ‘mixed’ reality. Before VR is adopted wholesale, tech companies still need to address pressing issues such as cost and safety. A report from NAHT said that 85% of heads were considering restricting spending on equipment. In an era of reduced funding, most schools can’t justify huge outlay on devices that simply offer an engaging intro to a topic. Where does VR fit in ethically and pedagogically? According to Sarah Lima, senior associate in the TMT team at law firm Dentons, there are a variety of legal issues and ethical challenges ahead. Laws may struggle to keep up and existing laws designed for a non-virtual world will have to be applied in ways that were never foreseen. Should schools adopt VR now? The headsets vary, so educators will need to think about their aims. Some are suitable for all ages, others for 13 years plus. Will teachers want an arresting intro to a new topic, or an in-depth experience such as dissection or experimentation without needing a lab? Google has developed a low-cost, immersive and shared experience that hundreds of thousands of children are trying for free. Cardboards are very cheap but they need a smartphone to operate, and many schools have invested in tablets, not phones. 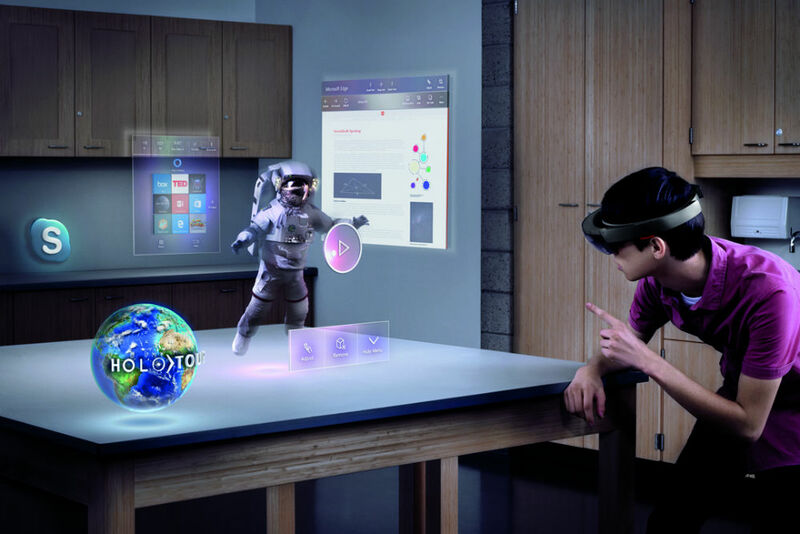 Launched in December last year, Microsoft’s HoloLens offers education much of the functionality of a laptop and more as a wearable device. 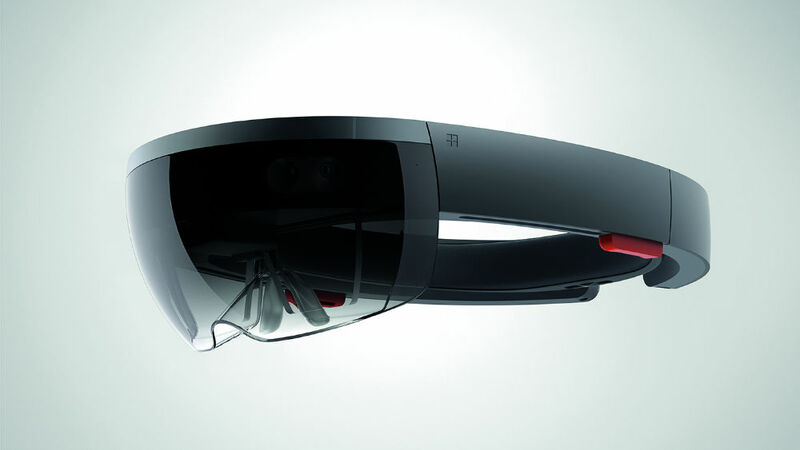 Microsoft say it is a fully self-contained head mounted holographic computer. It allows the user to interact in real time, and as the user is very much present in the room, so Microsoft prefers the term ‘mixed reality’. There is an education pilot, but it is not yet available for educators to buy, currently there is an untethered version being offered to developers for around £2,500. There are companies willing to enter the market with content and hardware packages that might appeal to schools, challenging the dominance of the huge tech companies such as FaceBook’s Oculus Rift, and Samsung’s Gear. Children have quietly adopted VR for years now; many young people make sophisticated online worlds on games like Minecraft. Teachers can choose between an immersive VR experience or an augmented reality which enables easier interaction with students. And, of course, we have institutions adopting huge wraparound screens that put the students in a realistic scenario for role-play and training. Educators will test and try what suits their educational aims. The tipping point might come when headsets are ubiquitous outside education, and when the content and functionality is more persuasive for teachers. Tech companies are working hard to appeal to schools, colleges and universities to ensure we reach that point sooner rather than later.